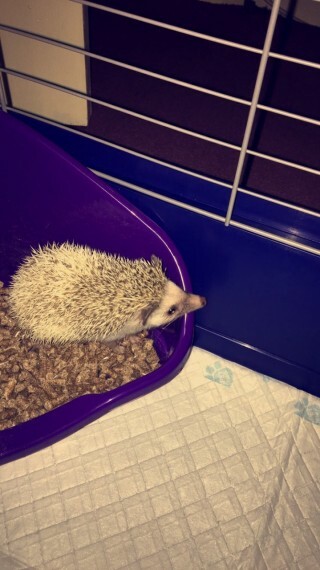 I am having to rehome my little hedgehog due to allergies. She is 5 months old and very sweet natured. Her name is Mollie. She was health checked by breeder but hasnt required a visit to the vet since she came to live with me. Comes with everything she needs - cage, toys, litter tray, wheel, blacket, bed, food however if you have a cold out she may require a heat lamp. Ready to leave now. I can supply breeders contact details if you wish to see her mum and dad.